Dizzy Wright drops the latest "Still Movin' Monday" joint. 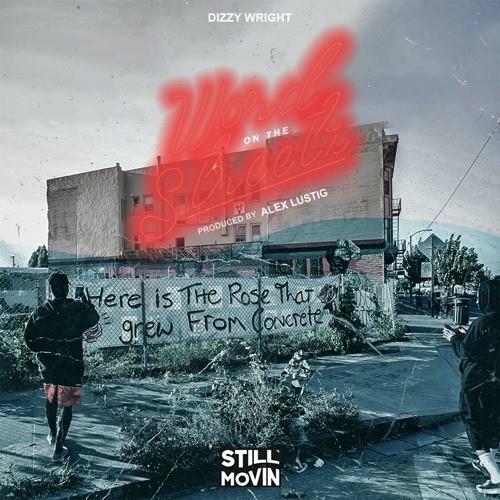 Dizzy Wright's "Word On The Streetz" comes through as the fifteenth installment of the Still Movin' Mondays series, which boasts previous entries from Demrick, Euroz, and Reezy. On Dizzy's latest, the rapper jumps over an old-school Alex Lustig beat, showcasing a dexterous flow and spitting high-tempo lyricism. Backed by some horns straight out of a vintage western, Wright closes out the track with some dope double-time bars. Wright closes out the track with an inspirational message for anyone listening. "Nothing can come between you and your destiny, you and your greatness," says Wright. "Only you can stop you." Committed puttin' Vegas on the map and who gon say that he didn't?